This topic contains 0 replies, has 1 voice, and was last updated by JulieH 1 week, 3 days ago. Bowel Cancer is the newest screening programme available in the Wairarapa – in July 2017 we were the second region in New Zealand to roll out the bowel screening programme. The Wairarapa bowel screening team have managed to engage over 82% of all those eligible between the ages of 60-74 yrs in the last 18mths. This has resulted in around 9% of those screened having a confirmed diagnosis of bowel cancer. Many of these people did not have symptoms that they were aware of. A lot more people are becoming aware of what their normal bowel habits are, and present to their GPs with abnormal symptoms when things change. This is great as it illustrates that the screening and awareness is working. Cancer Society Wairarapa offer support before during and after treatment. We also can help you navigate the procedure and explain what the screening kits do. We also go the extra mile, as we recognise that for many patients there is a lot of support initially, but how does one make an actual survival plan to move forward after treatment? We have been offering a Moving on After Bowel and Breast Cancer workshop now for nearly 10 years. Our other workshop programme is Living Well with Cancer. These survivor cancer workshops offer a programme which encourages you to think about what you have been doing, challenge if that’s now the right way for you and with the advice and guidance of experienced speakers, offer some alternatives so you can plan your survivorship. Taking control of the aspects of your life that you are able to is a inspiring – having cancer is often a powerless place to be. The workshops cover understanding or demystifying the pathology and genetics of cancer. They provide new evidence-based information around diet and exercise and we explore the psychological impact on you your family and friends and techniques you can use for future-proofing your mental wellbeing. The collective wisdom of a group sharing experiences encourages everyone to learn from and support each other. Facilitated by a registered nurse, counsellor and dietician these workshops are part of the Cancer Society’s commitment to reducing the impact of cancer. 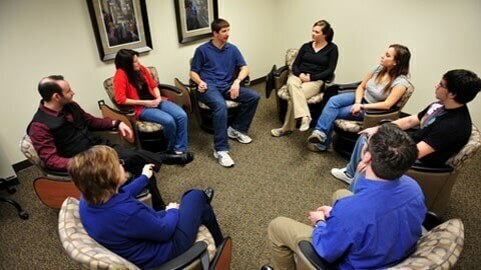 Alongside the workshops we also offer a bowel cancer support group once a month. This is particularly helpful to those with ostomate bags. Support groups help to link with others who have or are going through similar experiences and provide a caring and safe environment to talk about practical physical issues and feelings. Caregivers and partners also benefit from receiving support in their difficult and often unexpected new role. The changes and challenges in their lives can be distressing, even if they are strongly committed to caring for their sick loved one. We welcome partners to the support group.